I just received my first Patron Saint Journal Stamp and I love the way it turned out! 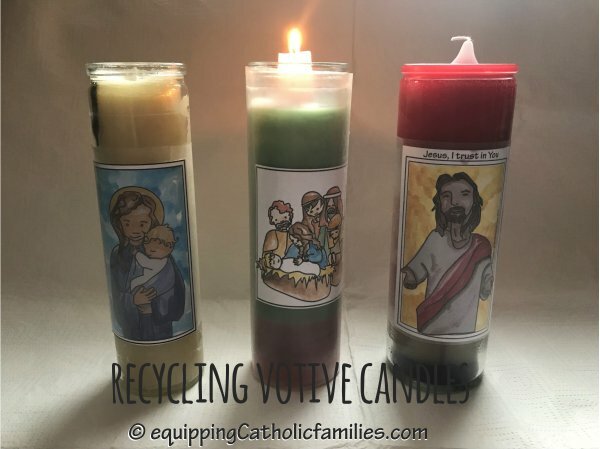 I’ve been trying to find ways to keep myself a little more accountable, more consistent in my daily prayer and exercise habits and more focused on turning to Mother Mary…when I start getting stressed out or when I start to stray. 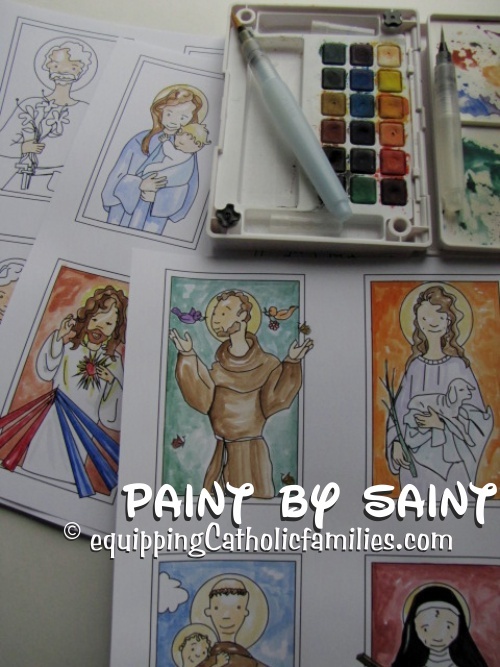 50+page template with 14 watercolor Kelly SaintsTM Catholic Saints greeting cards and 65 black and white interior templates for every occasion…including Catholic Feast Days and Sacraments! The Revolving Rosary offers a unique spinning craft to keep track of the particular Mystery of the Rosary, as well as the 10 Hail Mary prayers. The top circle frames the title and virtue of each Mystery and includes the words of the Hail Mary for quick and easy reference. Brad fasteners add a little bling…and attract the attention of the younger kids. Step by step instructions for assembly are included. This Craft Kit includes 48 different cards with Kelly Saints images and the accompanying Love Quotes from each Saint. These are SO cute and appealing to kids (and adults too!). 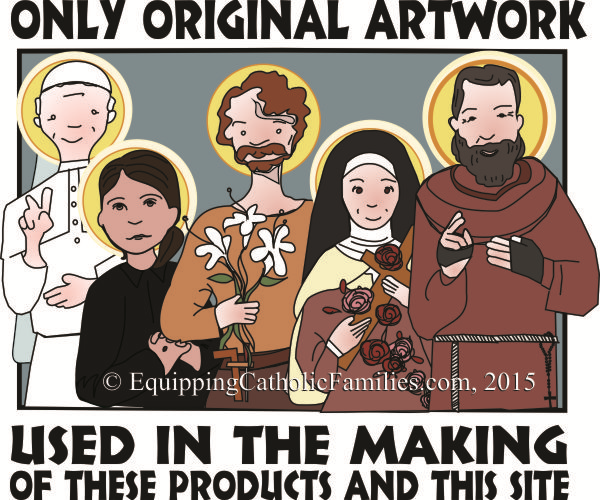 Why not encourage our kids to look to SAINTS as their heroes and role models!? Great for Saint Valentine’s Day cards, lunch box notes, snail mail gifts, chore chart badges…and thoughtful reminders all year long! When I first saw the logo for the Holy Year of Mercy, I have to admit it kind of bugged me. Having stared at it on the wall of the Sanctuary of our Church for a couple weeks now, I’ve been reflecting on it more and more. 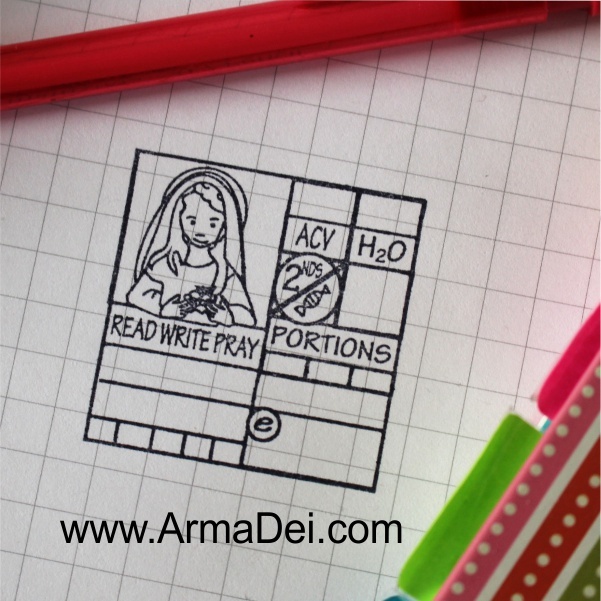 I like creating Catholic craft kits, books and quizzing cards, but I’m a little bit old school. I create all my own artwork…or I personally make digital images of my daughter Kelly’s original sketches. 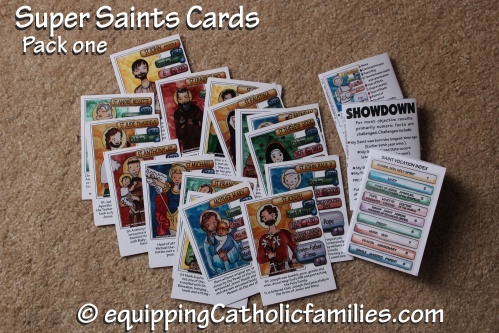 Super Saints Cards in PRINT! They’re here! 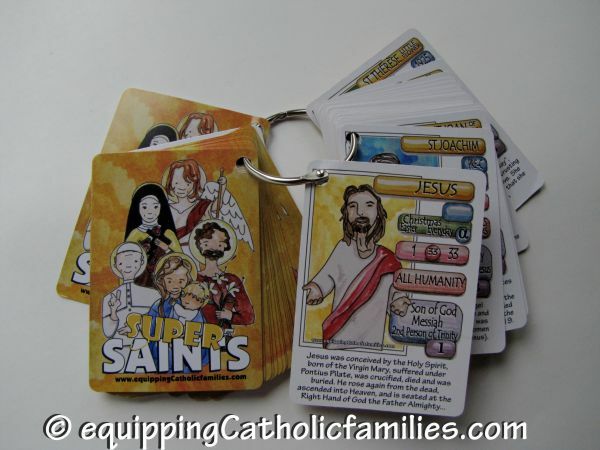 We released the Super Saints as a Craft Kit last week and we just received our first print of Pack One of the Super Saints Cards! We’re so excited that our Parish has sponsored our first print, making the cards available for all of our VBS (Totus Tuus Toronto!) attendees this week! How about Paint by Saint? If you already have our Saint Scripts Craft Kits, Series One and Two…you already have the Kelly Saints illustrations in black and white templates to stylize on your own with pencil crayons, markers…or my new favorite watercolor paints!